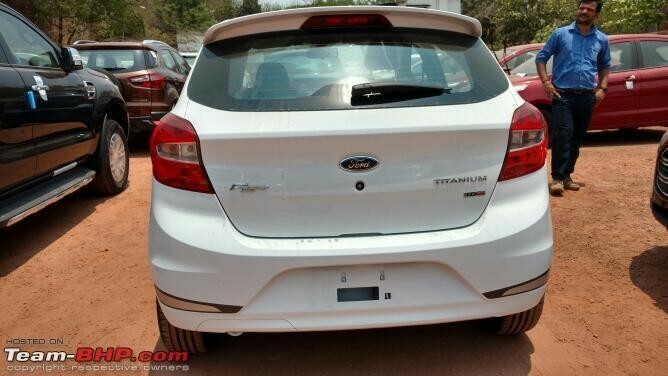 Ford India will soon launch the much sportier Figo S in India. The car was recently spotted parked inside a dealer stockyard and even inside a dealership. 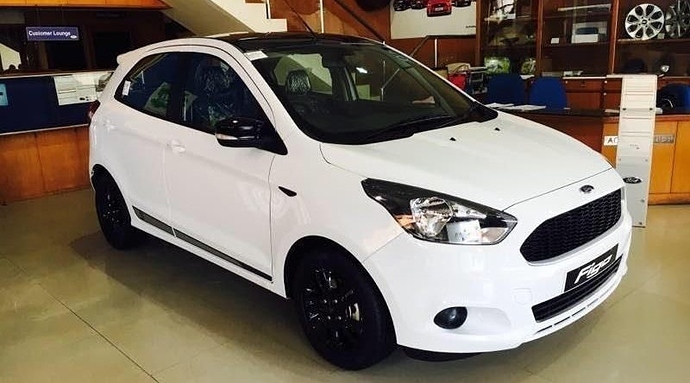 There has been no news regarding a more powerful Figo while the changes on the car are expected to stay fully cosmetic. It can help it gain the lost share of sales among other hatchbacks. 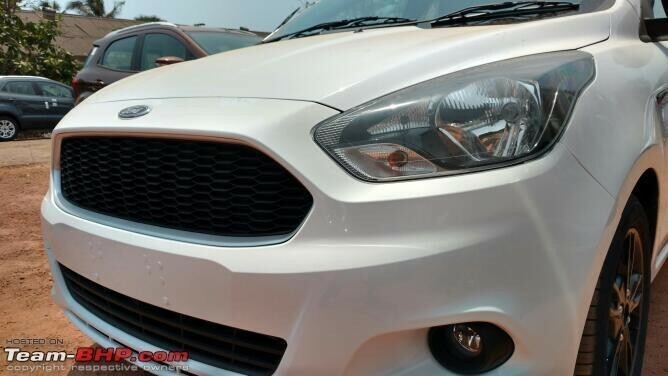 The front grill used on Figo S is honeycomb style, carrying deep Black finish and resembling the one seen on the Ford Mustang. The headlights are smoked while the new all new 15 inch alloy wheels are machine finished and Black in shade. This extra Black treatment looks excellent on the car's body. They have even finished the roof in Gloss Black. Ford Figo is powered by three different engines, 1.2 liter petrol, 1.5 liter petrol and 1.5 liter diesel. The former is good for 88 PS while the powerful diesel motor produces 100 PS of maximum power. The most powerful 1.5 liter petrol motor comes with 112 PS and 136 Nm of torque. The same gets a 6-speed dual clutch automatic gearbox.